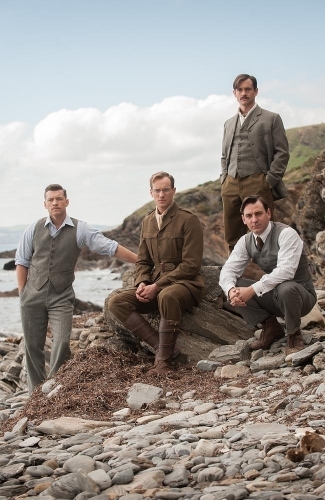 UKTV’s Drama channel has acquired the exclusive first run UK broadcast rights to Australian World War I miniseries Deadline Gallipoli after striking a deal with international distributor NBCUniversal International Television Distribution, TVWise has learned. Deadline Gallipoli tells the story of the World War I campaign from the point of view of war correspondents Charles Bean, Ellis Ashmead-Bartlett, Phillip Schuler and Keith Murdoch, who lived through the campaign and bore witness to the extraordinary events that unfolded in 1915. The defiance of these first war correspondents ignited a change in the campaign’s course and whose commitment to the stories of the men turned the war from a strategic failure into a triumph of the human spirit. This is the second first run drama acquisition for UKTV’s Drama channel in the past year. Previously, the channel was exclusively a library channel, but they moved into first run drama earlier this year when the struck a deal with Zodiak Rights for the UK rights to U.S. syndicated drama The Pinkertons, which is presently airing on the channel on Sunday nights at 8pm. I have added screen captures of Hugh in Deadline Gallipoli: The Full Story to our photo archive. Presented and narrated by Sam Worthington, Deadline Gallipoli -The Full Story is an exhilarating documentary, which follows the making of the landmark drama mini-series about four journalists who fought the upper echelons of the military to get the truth out about the audacious but ill-fated Gallipoli campaign of 1915. This is the untold story of the journalists who battled against a brutal censorship regime imposed during WW1 – the story at the heart of the politically charged, high-octane drama – is a story of our times. The gulf between the Gallipoli campaign and the theatre of modern war may span a century, but the struggle to find the truth in war reportage, often skewed by propaganda, mythmaking and censorship, remains as challenging today as it was in 1915. I have added screen captures of Hugh in part two of the two part mini series, Deadline Gallipoli. You can view the album in our photo archive by clicking on the thumbnails below. Remember to use the #DeadlineGallipoli hashtag on twitter when tweeting about the series and let the official @Foxtel, @ShowcaseAus and @MatchboxPics social outlets know how much you enjoyed the series! 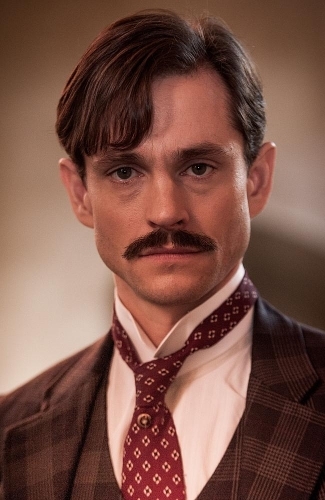 I have added screen captures of Hugh in part one of the two part mini series, Deadline Gallipoli. You can view the album in our photo archive by clicking on the thumbnails below. Remember to tune in Monday at 8.30pm on Showcase to view the second part! I have added two new images to our photo archive in the Deadline Gallipoli category, one still as well as a promotional image. Various press articles have popped up around the web. You can click on each title below to read them.